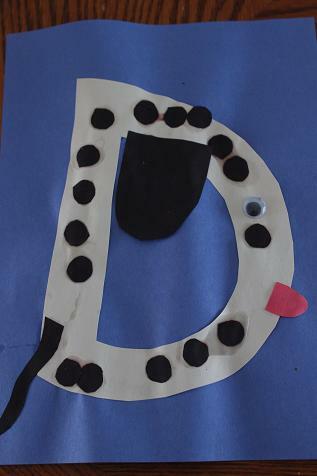 Hailey made a “D is for Dog.” It’s a Dalmatian with dots. 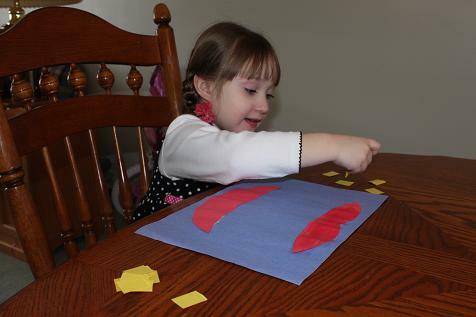 Hailey told me that since Daddy starts with a D she thought we should make a “daddy.” So, I had her make a shape Daddy. 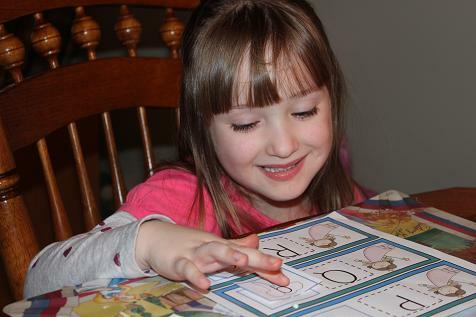 Hailey read her D book and practiced her D words. 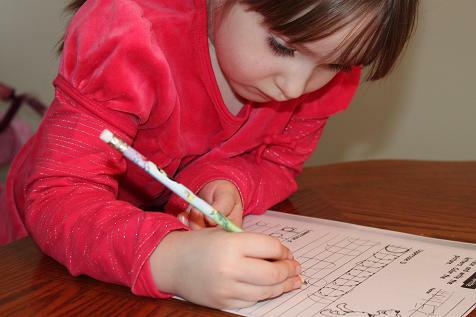 Practicing writing Ds in her princess workbook. 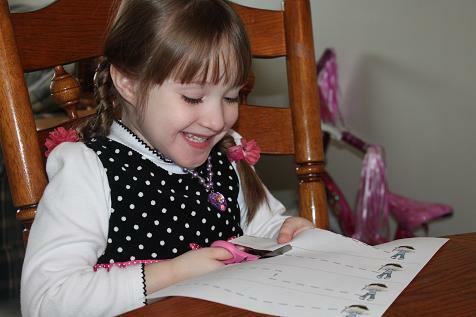 Hailey wanted to practice writing her Ds again on another day, so here she is doing some more Ds. 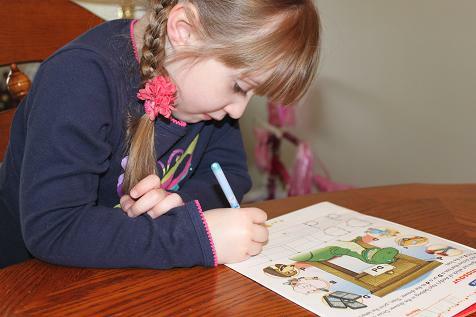 This is a Letter Hunt story from Confessions of a Homeschooler. 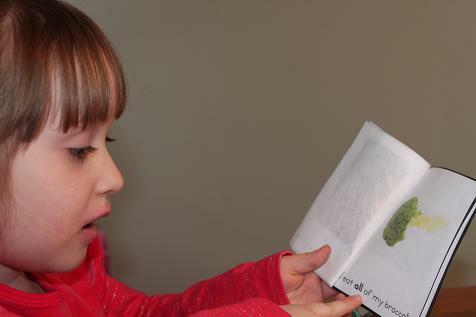 We read the story and then Hailey had to find all of the Ds. 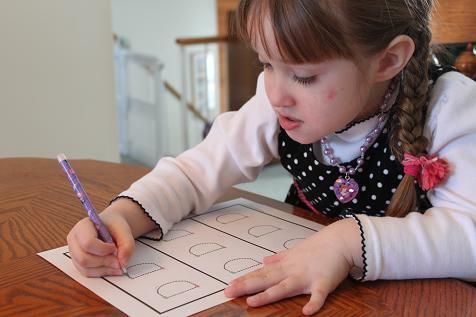 The rest of these activities are from the 1+1+1=1 Raising Rock Stars curriculum. 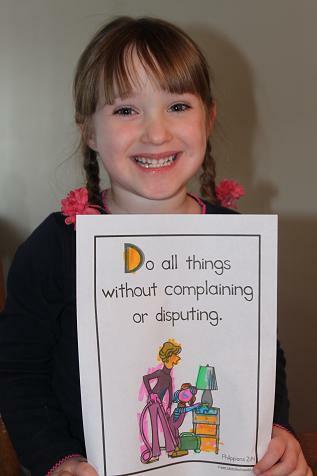 More practice writing the letter D.
Hailey had to come up with some things that she could say when she is told to do something that would not be complaining or disputing. 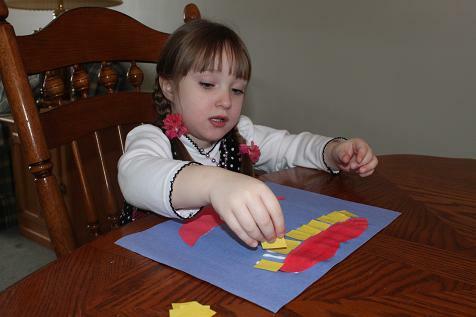 Here she is putting together her craft using the phrases she came up with. 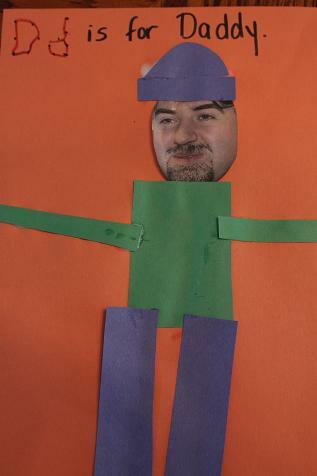 See more of our previous letter D activities. 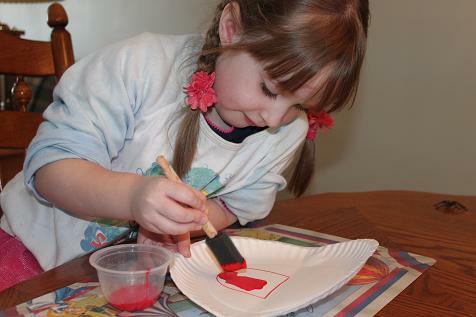 Take a paper plate and paint a tongue on it. 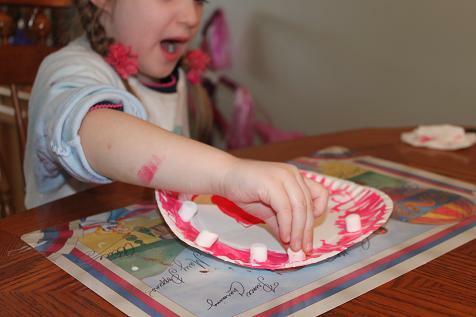 Paint the edges pink for the gums. 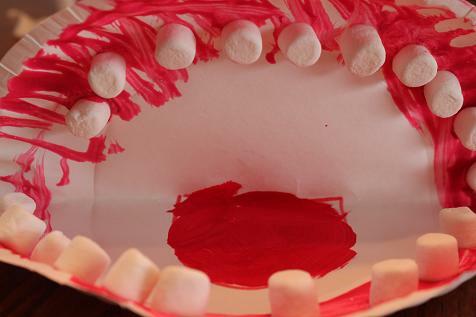 Add some marshmallows for teeth. Once it was dry Hailey brushed the teeth. 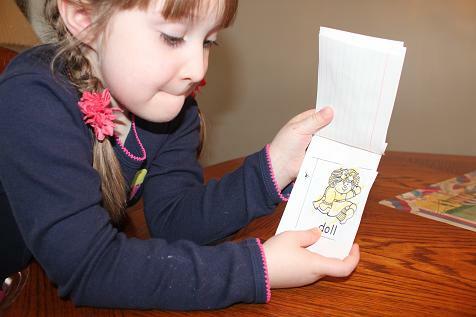 We also did an uppercase/lowercase match from Musings of Me. 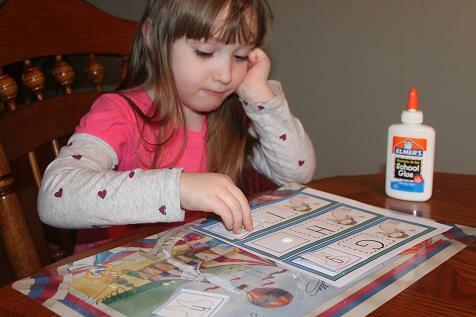 Hailey working on matching some of the lowercase letters. Matching up some more letters. 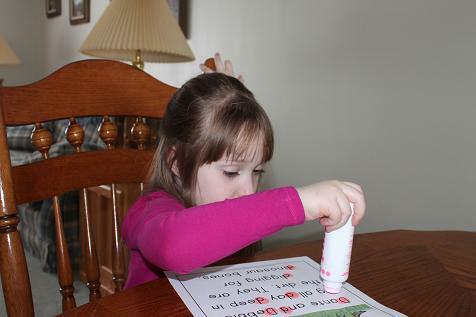 We did a very simple activity to help Hailey learn how many teeth she has. 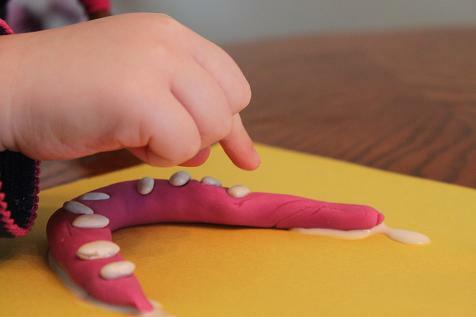 First she rolled out some pink playdough into a snake. 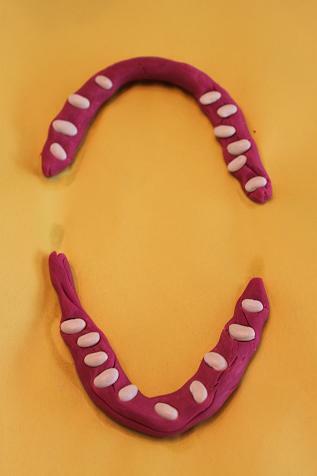 Then she formed those “snakes” into the gums of her mouth. Then she counted out 10 beans for the top half and 10 beans for the bottom half of her mouth. 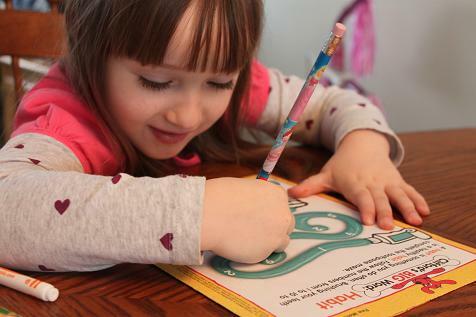 Then we did a few activities with some Clifford learning magazines from Scholastic. 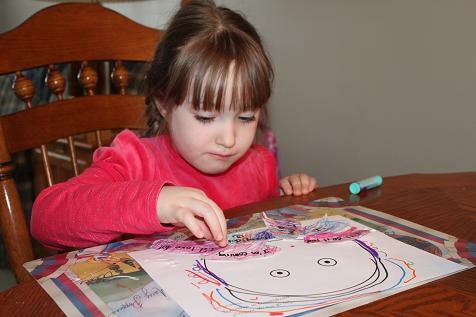 Hailey had to color and cut out things that are good for our teeth. Then she glued them to a tooth. She did a toothpaste maze. And circled items that are healthy for our teeth. 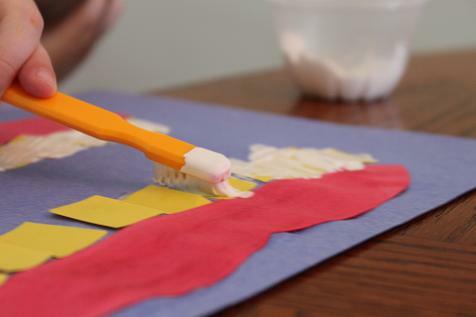 Since it’s dental health month I decided we need to squeeze in some activities before the end of the month. 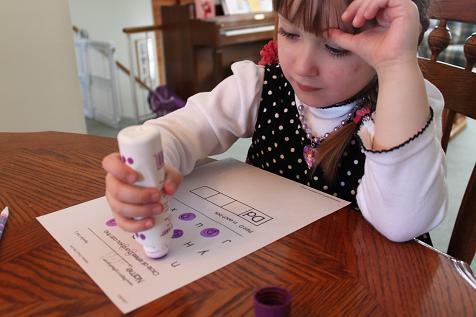 Hailey glued some lips onto a piece of paper. 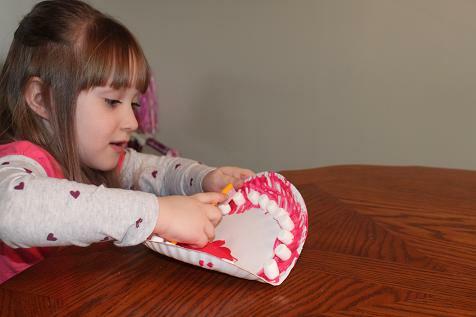 She counted out 10 teeth for the top and 10 for the bottom. Then she glued the teeth on. Notice how yellow the teeth are? Yuck! Dentist Hailey to the rescue! 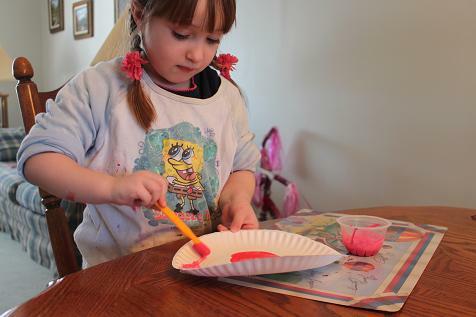 She used some white paint as toothpaste and she brushed the teeth until they were clean and white. 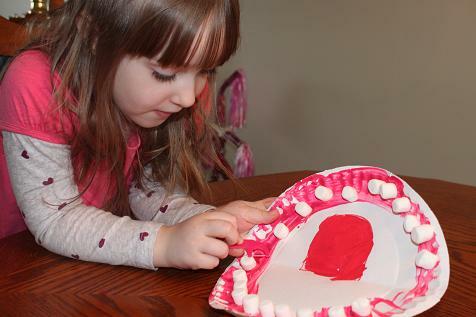 She really liked this activity and had fun pretending she was the dentist. 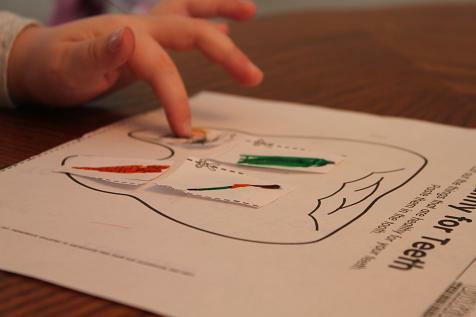 Then we did some printables from the dental health unit on Musings of Me. 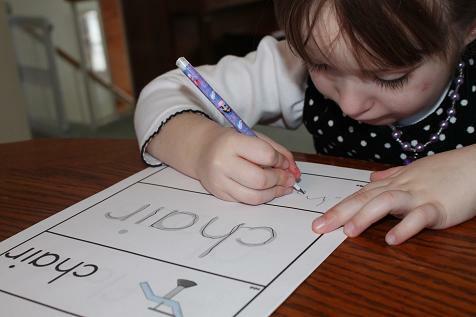 Hailey loves practicing writing words. 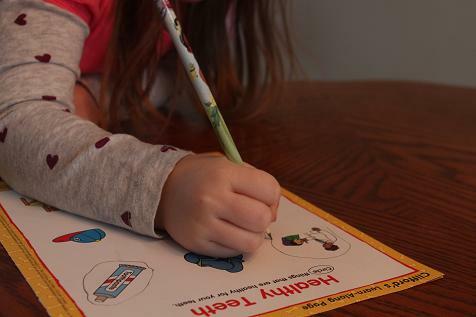 There were several pages of words related to dental health that she loved writing. Then she practiced some scissor skills.